and you’ll find yourself just a short trip away from the world-famous Clwyd Theatre and the Italian-designed village of Portmeirion –. which visitors of a certain age might remember as the setting for TV’s ‘The Prisoner’. Thankfully, you won’ find any giant bubble-gum guard dogs there anymore! 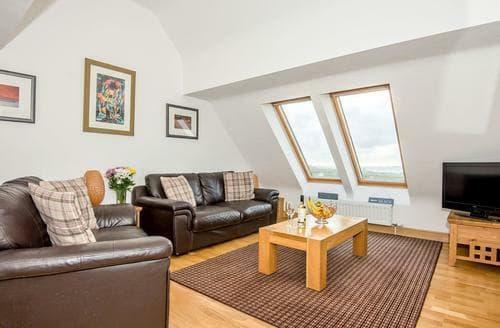 are within easy reach of the area’s best beaches, such as Llandudno Bay and Abersoch Beach. In addition to being spectacularly clean, many beaches along the north coast offer the opportunity to spot seals, dolphins and – you guessed it – whales! What’s good to do in North Wales? to coincide with any events you might want to see. North Wales is also establishing itself as something of a hotspot for foodies. Along the coast, you’ll find plenty of top-notch chippies, serving local catch as well as traditional chip-shop fare. Travel inland and you’ll discover some fabulous pubs and inns, such as the White Eagle Inn in Anglesey and the Glynne Arms in Hawarden. 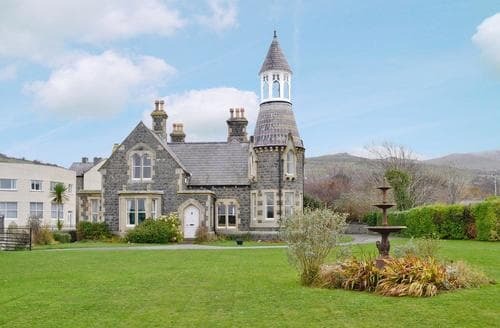 For special nights out, there are some superb restaurants, such as the Dining Room in Llandudno. can help you achieve holiday heaven. 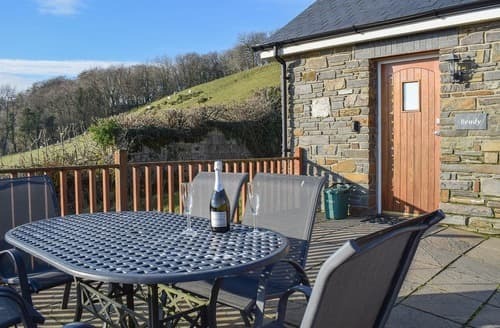 Famed for its song-filled valleys, outstanding beaches and pitted with the remains of the mining industry, booking one of our South Wales Cottages will introduce you to region of the UK that is thick with myth, legend and natural beauty. 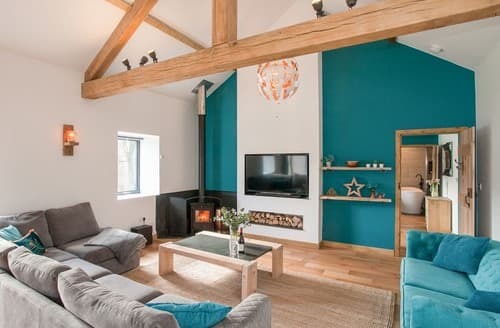 However, it’s not all about the great outdoors, and you can book one of our South Wales Cottages near Cardiff and enjoy first-class shopping, extraordinary restaurants and even watch a game the of rugby at the Cardiff Millennium Stadium. In short, there’s something for everyone in South Wales. This beautiful and vibrant part of the country is easily accessible, and is connected to road and train lines from across the country. There’s the opportunity to catch a flight or you can drive across the Severn Bridge and experience the sense that you really are entering another country. What are the must-see bits of South Wales? Cardiff is a superb city and sports a distinctly bohemian atmosphere, and alongside the high-street giants, you’ll find independent boutique shops and some eclectic markets selling everything from handmade clothes to local meats and produce. The city also has a thriving music scene and, for younger visitors, don’t forget that it’s the home of the Doctor Who Experience! 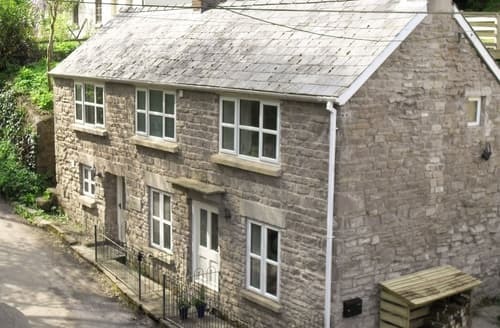 Using one of our holiday cottages in South Wales near Cardiff gives you access to the cosmopolitan side of this beautiful city. 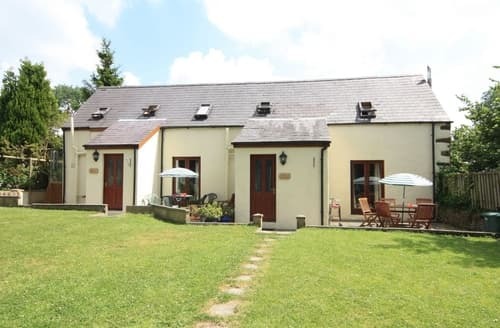 For those who want to leave the hustle and bustle behind them, booking one of our holiday cottages in South Wales close to the Wye Valley should tick all the right boxes. 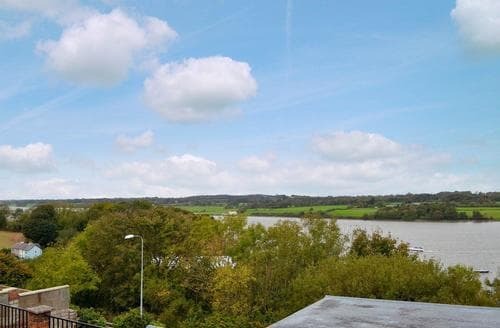 The Wye Valley is one of Wales’ most dramatic and beautiful regions, teeming with wildlife and having been designated an Area of Outstanding Natural Beauty. 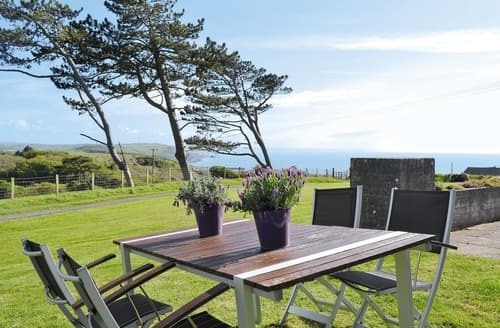 With a rich history under its belt, South Wales is studded with castles, from the crumbling ramparts of Carreg Cennen to the seaside spectacle of Criccieth Castle. However, the jewel in the crown must be Caernarfon Castle, situated on the banks of the River Seiont and bristling with Edwardian style. It’s easy to forget the South Wales is fringed with some exceptional beaches and, with the weather on your side, you could almost believe you were on the other side of the world! Be sure to check out Swansea’s beach and the spectacular stretch of sands that makes up Three Cliffs Bay in the Gower. 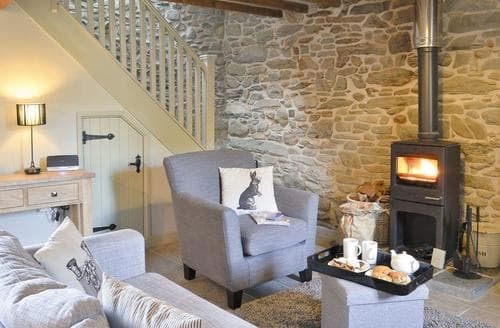 What our customers are saying about our Holiday Cottages In Wales To Rent. 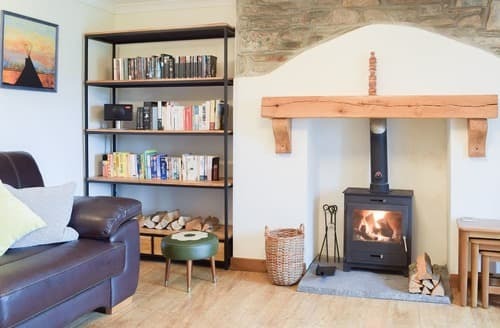 "The best feature of this house is it being completely detached and private with glorious views of the distant Snowdonia mountains.The large wood-burning fireplace dominates the living room, not a pleasant feature really, unless lit. The weather did warrant it at times, but the supplied lighter needed batteries and with just 3 logs, not really enough to bother with. The background heating was welcome for the mornings, with the use of an additional portable radiator. The window in the bathroom was impossible to close and let in a lot of cold air which had to be combated with having the fan-heater on quite a bit. We are not ones to watch TV very much, but saw no point in having a large flat-screen TV when there's no signal and no advice given about it in the guests' folder. Had someone called initially it could have perhaps been explained, but with a broken Sky changer and 2 others relevant to the make of TV, we considered it would have been better not to provide a TV set. 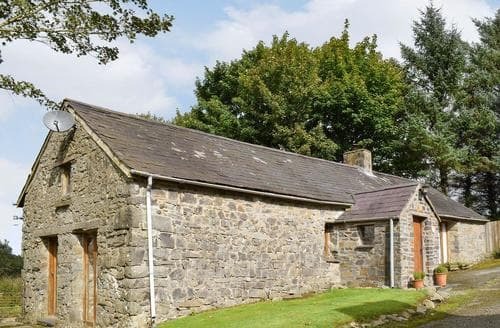 Why have it listed in the cottage details? To be marooned indoors in inclement weather is a little miserable with the rather strange design of fairly elderly upholstered chairs, all (including the sofa) with no head-support.The cooking facility is good, with excellent-quality saucepans necessary for the ceramic hob and thankfully a spacious fridge-freezer. There is little space though in the kitchen area, the microwave having to be sited across the draining board. The separate work-bench for food preparation is a boon though.The outside space for children is good, and the weather-proof picnic table on the lawn, comfortable chairs are needed really though, as mentioned in a few visitors' comments as otherwise take the wooden chairs outside with a cushion- not ideal. The use of the Leisure Club was a real bonus, we all loved going nearly every day. We did have a walk each day, from the door and also one from a nearby village, also another in the Snowdon range." 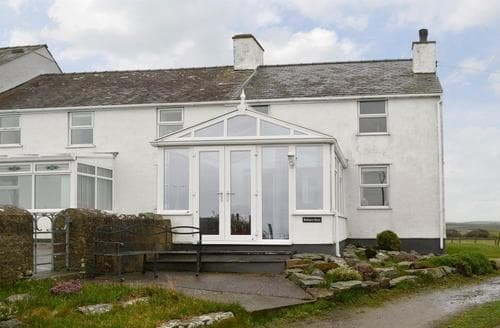 "Overall good cottage, clean and tidy , nice little Garden, quiet location so good for a dog. 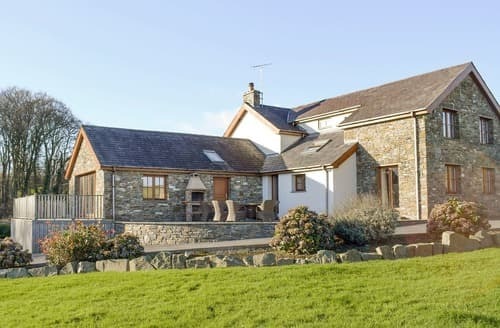 The location is good about 10 minutes from Bala on the South side of the Lake whilst not close to the highest mountains, it is a good base for Snowdonia as it is equal distance to the South and North ranges. 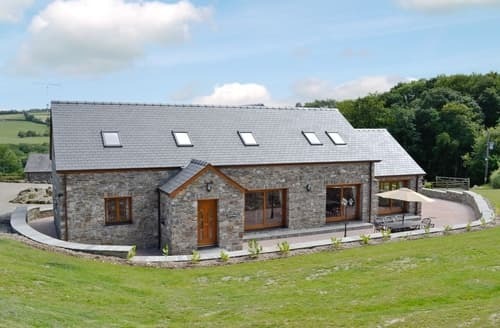 Snowdonia overall is an excellent place to visit for walking and especially for mountain bikes.This part of Wales is all about the countryside, not the amenities.The facilities were slightly on the basic side but perhaps that is reflected in the price. There is no dishwasher, the cottage rooms are quite small.The open plan stairs were a bit hairy as the only bathroom is upstairs. The tech is quite old.Note to owner - please ensure that there are consumables such as salt, washing powder, cooking oil. I wanted to do one quick freshen up of some laundry but the packet of powder was empty. Perhaps 4 washing tabs could be provided fresh, for each new group of guests.One bedroom is downstairs. 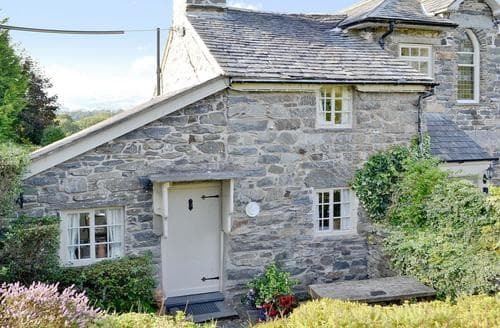 The parking is tight for a large car which may have been in the details, but I did not notice it.Many of the reviews were stating this cottage as 10/10 which came out as "fabulous". I found this misleading but presumably not through the fault of the owner. This was the basis that I booked it. It is perfectly nice, but 7/10 would have been more accurate." "….very little to say that hasn't been said already. 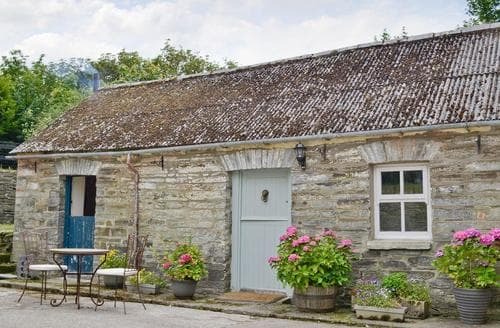 Cosy cottage, reasonable location, [car essential]. Garden is best feature, decent table and chairs, west facing and gets plenty of sun...provided the weather is with you. 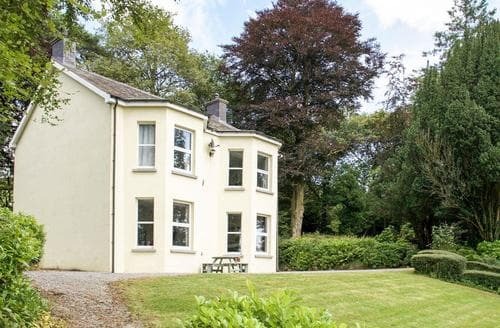 In it's favour, this is one of the best equipped cottages we've ever stayed in. It has just about everything a family of four could need, including a sharp knife, [for a change]. On the downside, hot water pressure in the kitchen is unacceptable, andwhat is it with these tiny TV's? My Laptop has a bigger display! 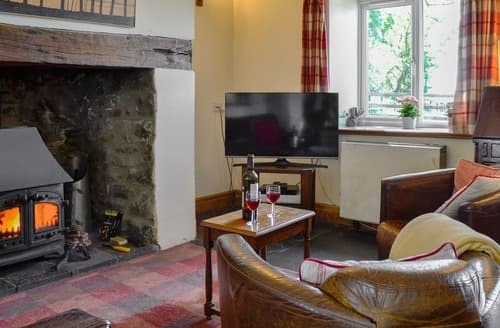 This is 2018, for pity sake, a 24" flat screen costs peanuts and would make wet evenings a whole lot easier to enjoy.The cottage, whilst characterful, is long overdue a makeover. The windows and Velux's are old, filthy and need decoration , the carpets need replacing with something more hygienic, [meaning clean], like laminate flooring, or even painted concrete, and the soft furnishings are well past their sell by date. Everything smells musty, and for someone with asthma this is a problem. S21496 looks quaint, but needs some capital expenditure and urgent work to bring it up to anywhere near the level of some of the newer competition around. 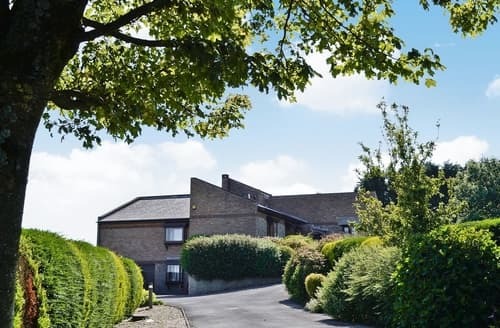 Not an entirely bad experience, but it's certainly made us re-evaluate what we expect and need from any future holiday accommodation." "Not a lot to add to the previous reviews. We chose this particular cottage for the garden. 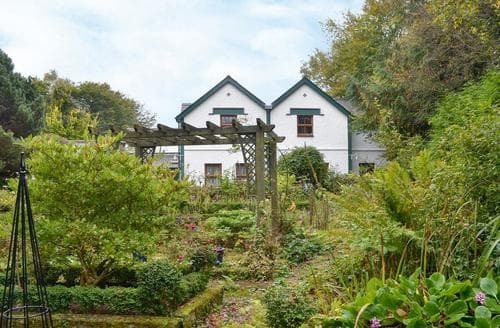 Unfortunately, we didn't find out until after the booking was made that the garden cannot be directly accessed from the house. You have to go out of the back door and through a gate that doesn't shut properly. The slabs outside are also a trip hazard. When we arrived there where sheep in the field at the bottom of the garden. 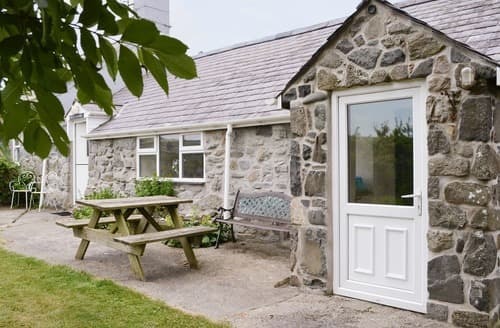 As the only window facing the garden is in the living area, we did not feel comfortable leaving the dog unattended in the garden.There is no dustbin outside the cottage. Obviously bin men can't get down the drive to the property. But you have to carry your own rubbish to the bin at the top of the drive. Surely this is the cleaners job! Wasn't really pleased about putting sacks of rubbish in my vehicle.No effort is made to facilitate recycling. Just a quick note in the property guide where the local depot is. (if we want to take our own! )On the plus side, there was plenty of hot water & firewood. On the whole we where dissapointed with this property because it had promised so much, but delivered so little. It's only a 3star at best. 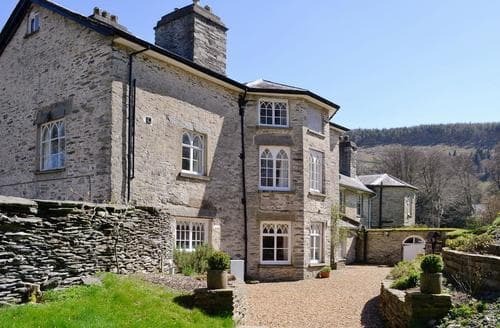 With some money & work spent on this property, it could be lovely. At the moment it's dark & unwelcoming." 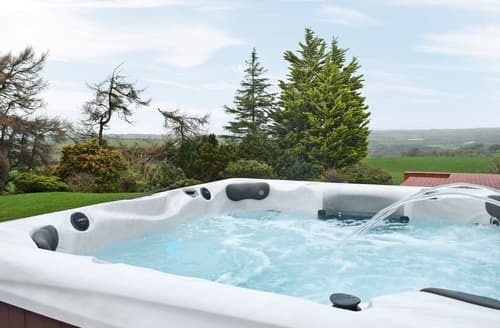 "To begin with, the positives: Mrs Haines was very friendly and helpful over the phone prior to and upon our arrival to the cottage. 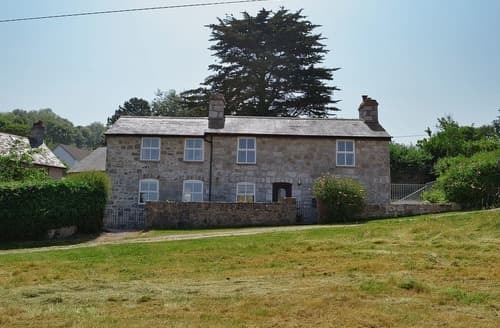 The cottage looks quaint from the outside however once inside it is very clear that it is need of an extensive deep clean and general maintenance (broken window and gaps in sky light frames, cracks and dirty walls need painting). The seating in the lounge is uncomfortable and dirty and the bedding needs replacing (is far too old and has lost most of its stuffing).The bathroom is lovely; very clean and plenty of hot water. The kitchen is also very cosy, as you would expect for a cottage of this age, but in need of a deep clean.The garden is of a good size and has some lovely views (particularly enjoyed watching he kites) but is not securely enclosed (gaps around gate at bottom, broken fence to one side, and rusty gate that does not shut).There is a beautiful walk along the coastal path at Cwmtydu and a lovely sandy beach at Aberaeron. You will need to drive everywhere and be prepared for VERY narrow and steep roads. Be prepared to have to reverse back down the narrow drive way for some distance if a car is coming the other way."